If you need to replace your current AC system or are planning a new home build, you’ll want to make sure you have an experienced AC installation contractor lined up to handle the install. 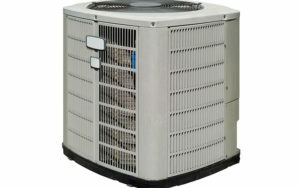 Proper installation is critical to the operation of your new AC system. You need a contractor who will get the job done right the first time. Our installers are trained in proper installation techniques, and they have the necessary experience to handle your job quickly and efficiently. Whether your air conditioner is an older model that’s ready for an upgrade or it’s simply worn out and needs replacing, our expert installation team can provide all the services you need to get your new system installed and running. Before completing a high-quality installation, we can also help with system sizing. If you want your cooling system to perform well, you need to start with good design. We use the Wrightsoft HVAC Design software to perform load calculations and ensure your AC system provides effective cooling and dehumidification for your home. A system that’s too large will cool your space too quickly, turning off before it’s had a chance to adequately dehumidify the air. This will result in a cold, damp indoor environment that won’t provide optimal comfort. It will also make your system less energy-efficient. A system that’s too small will have to work harder than it should to provide adequate cooling, leading to greater wear and tear on the equipment. Our experts will calculate the precise cooling load to ensure that your new AC system is just the right size for your home. Our installers will then make sure the equipment is properly placed and carefully connected for optimal functioning. If you are building a new home, you’ll want the best air conditioner installation possible. As a Trane Comfort Specialist, we take the care needed to do the job right. From ductwork to air conditioner or heat pump, we can design and install a cooling system that will work well for you and your family. Call Straight Line Heating and Cooling today to discuss your AC installation needs. We offer free estimates and a five-year service contract on new installations, in addition to a 10-year manufacturer warranty. Our service area includes Paso Robles, Atascadero, San Luis Obispo, CA and the surrounding areas.